For so many years, we have taken water for granted. We used it and then threw it away. But last year’s floods in Alberta were a sharp reminder that water is a powerful force. “Flood, drought, water quality, wetlands – it’s all connected, and it’s our collective responsibility,” says Joan Feather, President, Saskatoon Nature Society. Wetlands are areas where the soil is saturated with water for at least some time in the growing season. They range from temporary wetlands in a low-lying areas to wet meadows, shallow and deep marshes, and permanent open water. The whole ecosystem is effected by the water, changing the soil and providing a home for water-tolerant plants. 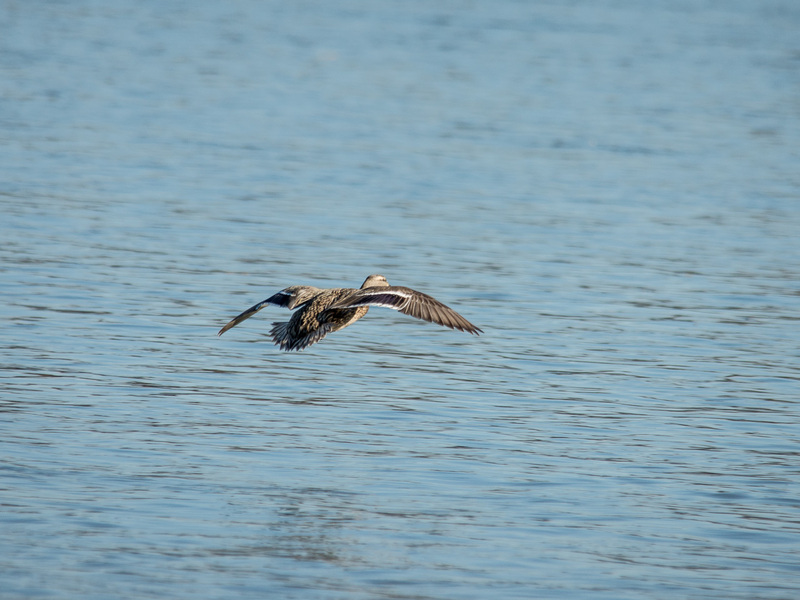 Wetlands provide a breeding ground for waterfowl, a source of water for wildlife, and provide a home for a wide variety of plants and insects, including dragonflies and damselflies that devour large quantities of mosquitoes. In rural areas, property owners drain wetlands to create more land for farming. This causes downstream flooding and erosion. Fertilizer, herbicides, and pesticides end up in the river systems creating problems downstream rather than remaining on the land. Sudden rainstorms can overwhelm urban storm water drainage systems causing flooded basements and sewer backup. Urban wetlands can play a key role in slowing down and absorbing the water. In addition, people like living near bodies of water. Some of the most expensive houses in Saskatoon back onto wetlands, such as those near Hyde Park in Rosewood. Saskatoon’s rapid growth over the past few years has led to a buying frenzy with developers eager to buy land, build houses, and turn a profit. Insufficient attention has been paid to long-term community needs for maintaining and developing wetlands as part of a comprehensive strategy to protect our water, our land, and all its inhabitants. The Northeast Swalewatchers has expressed concern that the policy is not sufficiently robust. They do not believe that the policy adequately recognizes the “vital ecological functions of wetlands, from sustaining biodiversity, to enhancing water quality.” They are also concerned that the policy language is ambiguous: “Use of the words ‘may’ and ‘possible’ and ‘should’ rather than ‘will’ and ‘shall’ suggests the policy can be loosely interpreted without penalty.” The group also recommended greater clarity around monitoring, enforcement, and penalties. The policy framework that is currently in place is only the first stage in policy development. During Stage 2, the City will prepare Design, Development, and Management Guidelines for Wetlands and Constructed Wetlands. Stage 3 – Education, Ongoing Management, and Monitoring – will follow. Chris Schulz believes that the City has successfully achieved a balance in developing the concept plan for the new community of Brighton. Dundee Developments voluntarily agreed to undertake a demonstration project to see how well wetland principles could be applied in developing this area. Dundee conducted a wetland inventory and developed a storm water management plan that included a number of wetland areas. “There will be some net loss of wetland area,” Chris says, “but the constructed wetlands will have the benefit of some permanence, even during dry spells.” In addition, Dundee is proposing to use low-impact development techniques, such as permeable surfaces and a swale in the median on McOrmond Drive to assist with storm water drainage and help compensate for lost wetlands. 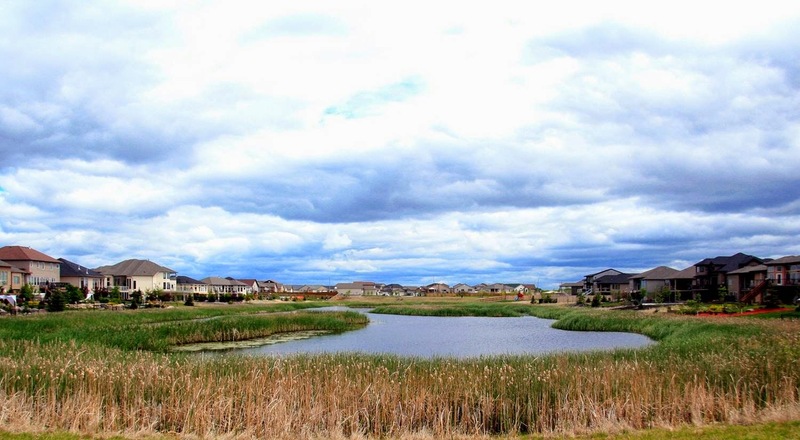 Aspen Ridge, another new neighbourhood that is in the planning stage, does not contain any wetlands, but it adjoins the Northeast Swale and must conform to the Swale guidelines. Chris explains that the Swale can be used for storm water management but only under specific conditions and at certain locations. “Aspen Ridge will have a retention forebay to pre-treat runoff and reduce the sediment going into the Swale,” Chris says. A greenway will provide a buffer zone and local storm water management between the Swale and adjacent development. Conventional storm water ponds may effectively manage storm water, but there can be drawbacks. Neatly mowed lawns attract flocks of Canada geese, and algae coat the surface because there aren’t sufficient plants to absorb the nutrients. This was a problem for Winnipeg, which has no natural wetlands and is prone to flooding. The city turned to Native Plant Solutions, the for-profit wing of Ducks Unlimited Canada, to help them out. Native Plant Solutions has now designed and installed over 60 storm water retention ponds in Winnipeg. The ponds are surrounded by a tall grass prairie buffer and look like they’ve been there forever. They’re attractive naturalized parks, and they’re doing a better job of managing storm drainage and improving water quality. The native upland buffer zone intercepts excess nutrients, and mixed vegetation in the shallow areas helps clean the water as it enters the pond. Construction costs (for the Winnipeg examples) are lower than for conventional storm water ponds, and, once they’re established, native grasses require less maintenance (mowing, fertilizing), so the naturalized ponds and associated upland areas reduce annual municipal expenses. 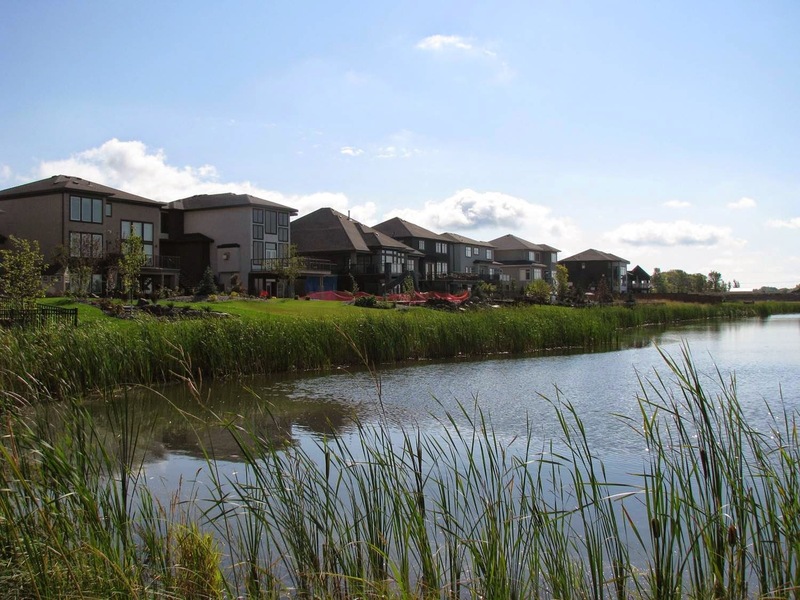 New homeowners in Winnipeg neighbourhoods with a constructed wetland receive an information package explaining the naturalized approach and there is interpretive signage beside walkways and benches around the ponds. 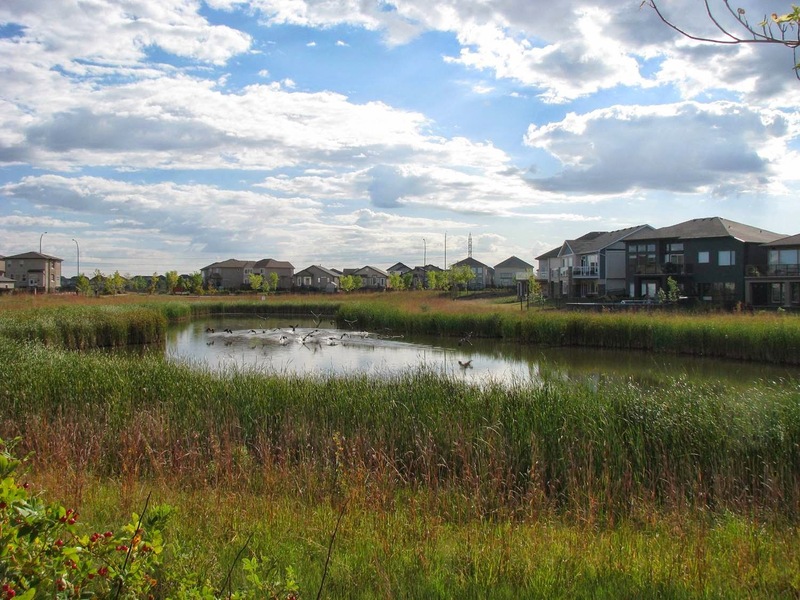 Hyde Park, in Saskatoon’s new Rosewood neighbourhood, contains a string of natural wetlands that have been adapted to also serve as a storm water retention pond. The ponds are linked to ponds in neighbouring areas, finally draining into the South Saskatchewan River. A large area has been seeded with native grasses and forbs, and Ducks Unlimited Canada and the Saskatoon Wildlife Federation hope to use one of the ponds as an outdoor classroom and education centre. Barbara Hanbidge, who was a member of the Saskatoon Environmental Advisory Committee for six years, says that the importance of wetlands is a new idea for Saskatchewan and emphasizes the importance of education. “We need to consider everyone’s education needs – the City, developers, residents. It can be a very slow process,” she says. 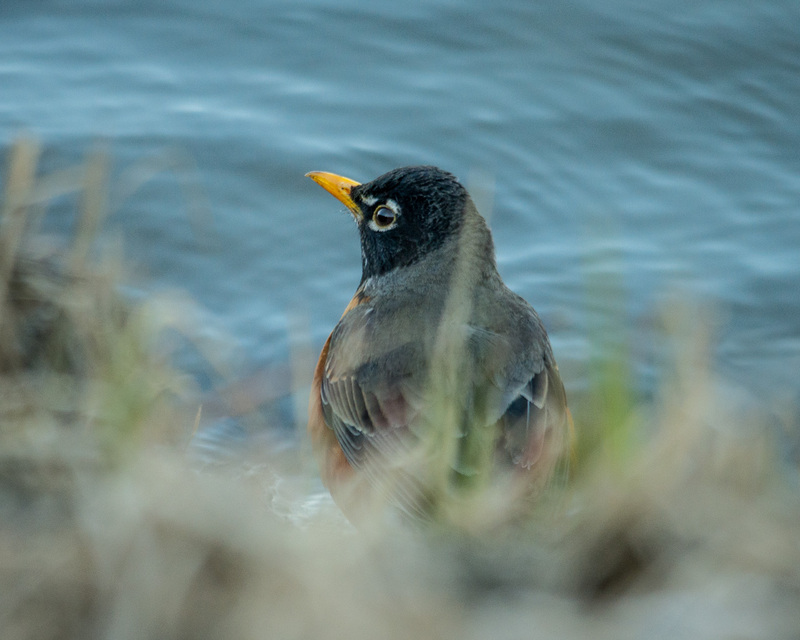 “We’ve suggested to the City that they partner with groups like Ducks Unlimited and the Saskatoon Nature Society to develop education strategies on the functions and importance of wetlands,” says Joan Feather. The upcoming NatureCity Festival provides several opportunities to learn more about our local wetlands. There is a Wetlands Workshop for teachers, tours of Chappell Marsh, and a keynote address by Michelle Molnar of the Suzuki Foundation.